The rand ended the day's session at R14.16/$. OVERVIEW: Stocks advanced globally and bonds retreated as upbeat economic reports from China to Europe and renewed hopes for a trade deal between the world’s two biggest economies attracted investors to riskier assets. The euro strengthened for the first time in seven sessions. US equity-index futures rose and the Stoxx Europe 600 index jumped, led by miners, as a string of economic data from Italy to Germany eased concern over the euro area’s growth outlook. In Asia, a benchmark equities index headed for a fresh six-month high, buoyed by better-than-expected Chinese services data and a positive Financial Times report on Sino-US talks. Treasuries fell with sovereign debt in Europe, where the key German 10-year bond yield climbed back above zero for the first time in more than a week. In the UK, the pound advanced after Prime Minister Theresa May announced a cross-party approach to break the logjam over Brexit. The Bloomberg Commodities Index climbed for a third day as iron ore bounded higher on concern over supplies from Brazil. Investors are looking for fresh catalysts to sustain an equities rally that’s so far weathered underwhelming data on global growth. At the top of their agenda are signs of a rebound in China’s economy, a potential end to the trade war and moves that could pave the way for a softer Brexit. Chinese Vice Premier Liu He is set to resume trade negotiations in Washington while Theresa May is reaching out to opposition Labour leader Jeremy Corbyn over Brexit. “We are going to get a deal done in China and the US,” said Luke Hickmore, senior investment manager at Aberdeen Standard Investments. Elsewhere, oil advanced close to a four-month high in New York as a further retreat in OPEC’s production signaled that global markets are tightening. MSCI’s gauge of emerging-market stocks climbed for a fifth day, hitting an eight-month high. The Stoxx Europe 600 Index rose 0.7% as of 07:24 New York time. Futures on the S&P 500 Index rose 0.5%. Italy’s FTSE MIB Index rose 1.1%. The MSCI Asia Pacific Index rose 0.8%. The MSCI Emerging Market Index rose 0.8%. The Bloomberg Dollar Spot Index fell 0.2%. The euro gained 0.4% to $1.1250 on the largest gain in two weeks. The Japanese yen fell 0.2% to 111.50 per dollar. The MSCI Emerging Markets Currency Index rose 0.3%. The yield on 10-year Treasuries rose four basis points to 2.52%. The yield on two-year Treasuries rose three basis points to 2.33%. Germany’s 10-year yield jumped five basis points to 0%. Andre Botha, Senior Dealer at TreasuryONE said that Tuesday was an interesting day for the rand. "We saw a tale of two halves where the rand hit a low of R14.08 against the US dollar, only to close the evening session in the mid R14.20's. The reason for the rand to strengthen was the momentum that was on the rand's side with Moody's not changing their view on South Africa's credit view last week. "This view was only strengthened yesterday when Moody's finally released a statement, stating that South Africa's economic situation is in line with other Baa3 countries and should growth stagnate and SOE's not be turned around South Africa will be downgraded. "Even though nothing new emerged from the report, the confirmation from Moody's initially gave the rand a shot in the arm and we saw the rand breaking below R14.10 on the release of the report," he said. By 10:07, the rand was trading at R14.11 to the greenback. 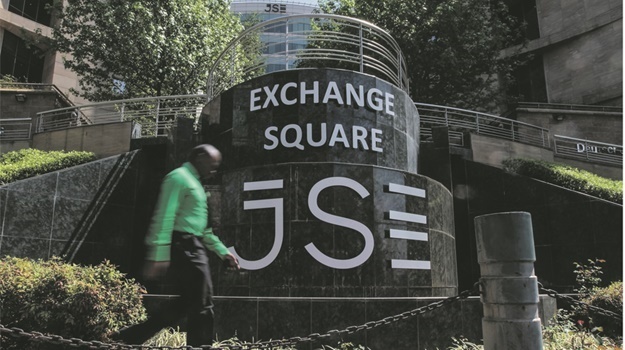 "The rally was short-lived however as a combination of a stronger dollar and dollar demand saw the rally dissipate as quickly as it began and the rand retreated back to opening levels. "Looking at the market this morning, we have seen Asian stocks on the front foot in the anticipation that the US-China trade deal is looking that it could be ironed out. This positive sentiment has swept through the EM markets and the rand is on the front foot again this morning, looking again to break below the R14.10 level. Stocks advanced globally and bonds retreated on renewed optimism that the US and China will reach a deal as trade talks resume in Washington. The yen slipped while iron ore bounded higher. The Stoxx Europe 600 index joined the rally, with miners and carmakers leading gains. The momentum moved westward after the MSCI Asia Pacific Index headed for a fresh six-month high, buoyed by a Financial Times report that while the US and China are still at odds on carrying out and enforcing a deal, most other roadblocks were cleared. Sentiment also improved on a better-than-forecast increase in a gauge of China’s services industries. Iron ore extended a supply-driven rally. The pound strengthened for a third day as Prime Minister Theresa May announced a cross-party approach to break the logjam over Brexit. With this year’s rally in equities so far weathering the recent underwhelming data on global growth, investors will now look for fresh catalysts to sustain the momentum. At the top of the agenda are a rebound in China’s economy, a potential end to the trade war and moves that could pave the way for a softer Brexit, as Chinese Vice Premier Liu He arrives in Washington for talks and Theresa May reaches out to opposition Labour leader Jeremy Corbyn. Asian stocks bounced with US equity futures Wednesday after a report that the US and China have ironed out most of their differences in trade negotiations. Treasury yields rose toward 2.5%. The MSCI Asia Pacific Index headed for a fresh six-month high after the Financial Times reported that while the US and China are still at odds on implementation and enforcement of a deal, most other roadblocks have been cleared. Also helping sentiment was a better-than-forecast increase in a gauge of China’s services industries, adding to readings on manufacturing that showed improvement earlier in the week. Hong Kong shares outperformed, with Japanese, Chinese and Korean equities seeing more modest gains. Australia’s dollar rose. After a strong start to the week, and a big rebound last quarter, investors appear less eager to keep driving global stock prices higher. Now trade talks are set to regain focus, with Chinese Vice Premier Liu He leading a delegation of negotiators to Washington on Wednesday. “We’re still in a state of flux and I think investors are just looking for any positive sign to sustain the rally or at least put a floor underneath where we are in the marketplace,” said Tom Stringfellow, president at Frost Investment Advisors, which has $3.68bn in assets under management. Earlier, the S&P 500 Index ended little changed after being lower most of the session. The pound fluctuated after Theresa May announced a proposal to break the logjam over Brexit. May’s plan is to get a cross-party approach on the future relationship with the EU, secure Labour support for her divorce deal and thereby lock in the date of May 22 to leave the bloc. Elsewhere, oil traded near a four-month high in New York as a further retreat in OPEC’s production signaled that global markets are tightening.